Be careful of any $.25 RAT you buy with skill stops. The vast majority are converted french machines. 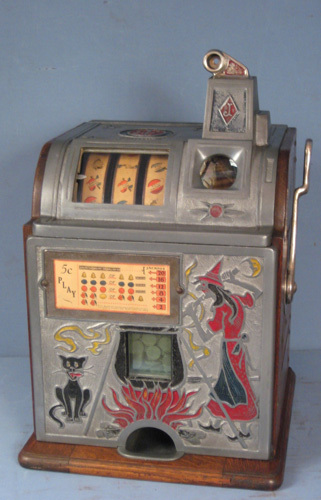 Just like http://www.ebay.com/itm/Slot-Machine-An ... 1991277096 is. In addition, to this machine being converted it has other issues. I had a chance to buy this one along with a bunch of others in a collection. Many of the machines were either reproduction or all jacked up and I don't buy that kind of stuff. Dave wrote: Be careful of any $.25 RAT you buy with skill stops. The vast majority are converted french machines. WOW! $8,500 for a Fake. That's really pushing it. And they say it is "All Original". Yeah Right! Dan - that ROT is what I call "overly restored" cute, flashy to the eye, but overdone. May be a french machine as well. I think for $3,500 you could find an original if you look. The Vegas auction charges 20% buyer, 20% seller, 8% sales tax - I'm turning to eBay more and more. FYI, this machine has been listed on eBay many times. If it is such a great machine it would have been sold by now. Good machines at fair prices don't last. One other thing, this machine is not a total reproduction. It is a machine that has been converted and plated which is the last thing you should do to a Rol-A-Top. It would be virtually impossible to undo this "restoration". If I were you, I would drop the requirement of the RAT having skill stops and being a $.25 or $.50 model. Those are very hard to find. I have never seen a $.50 RAT with skill stops and I don't think I have ever seen a legitimate $.25 RAT with skill stops. Most $.50 RATs are late model machines and were made long after the skill stop feature lost favor. Watlingboy had a really nice all original $.05 RAT with skill stops a year or so ago and I am still kicking myself for not buying it. Thanks Dave! I really appreciate the feedback and advice. I will definitely broaden my search for different denominations and different manufacturers. I know out there, some where, will be the right "first" machine. Patience is a virtue. Welcome to our Forum Group. It is a good thing to be 'patient', when it comes to buying your first machine, and others after, for that matter. too late, or worse yet, not-at-all. and videos on this site. Dave has done a terrific job, in describing many of the Repros & Fakes. 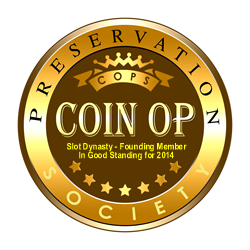 Good luck in your quest, to becoming a coin-op collector.